I’m a big fan of the LEGO Ideas theme. There’s always excitement and anticipation when waiting for a new set, and four times a year the internet and LEGO fans goes nuts with what set got voted in to be a product. LEGO Ideas has had some incredible sets, with the Research Institute and the Exo-Suit as some of the biggest ones. The Exo-Suit was hands down my favourite set of 2014. 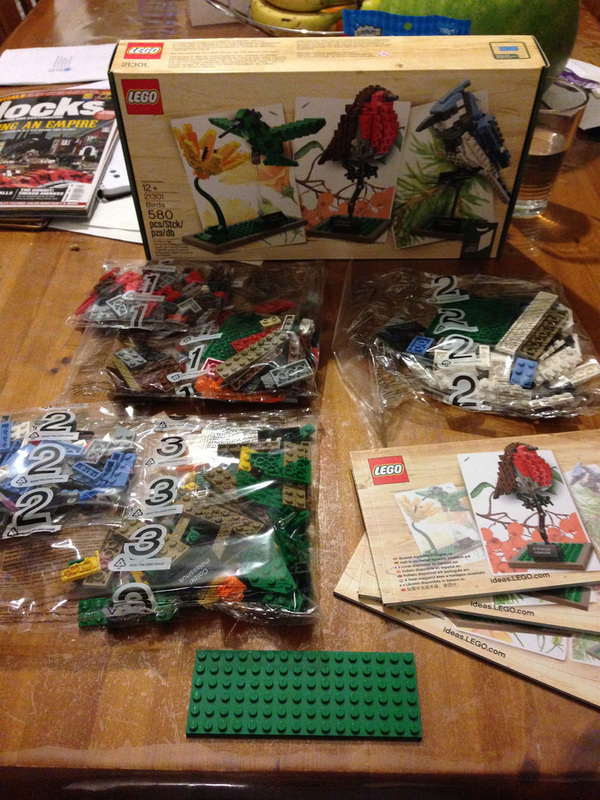 Even the boxes and instruction booklets are great to look at, so when 21301: Birds arrived, I was super excited. 2015’s first LEGO Ideas set was going to be a great one! It’s a set that often prompts people to exclaim they were surprised it was made out of LEGO, and hopefully brings people out of their Dark Ages! The creator of this brilliant set is Tom Poulsom (detomaso on Flickr). 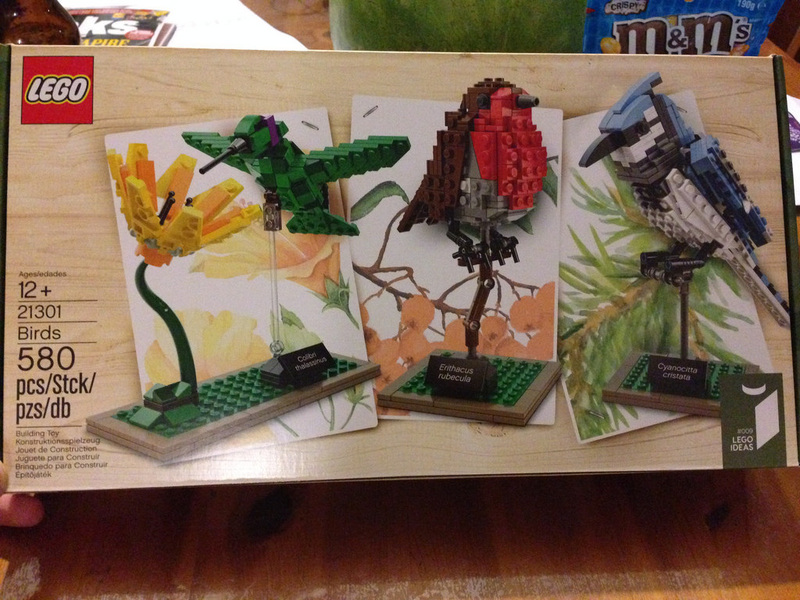 I recommend checking out his other builds on Flickr, including more of his birds! There’s actually a massive range. The box itself is quite stunning, with a nice woodgrain print on the majority of the box. Out of the box you’ll get 5 bags, 3 instruction booklets (one for each bird – robin, blue jay and hummingbird), and a 6×16 plate in dark green. There isn’t that much as far as new parts are concerned in this set. Let’s take it one bird at a time though. First off, the robin. Nothing new here, except for the new style of jumper plates with the changed underside, allowing a central stud to be placed underneath. This is the first released set with this style jumper plate. There’s also the 1×2 plate with bar handle on the end. These are by no means new, but the colour is, and it’s only been seen in the Minecraft sets so far. I’m not sure why LEGO didn’t choose to use the t-piece in black instead of light bley. It’s around, and seen in the Minecraft sets. Maybe it’s an exclusive Minecraft thing. Next up, the bluejay. Like the robin, the jumper plates are new, and in medium blue, along with some other parts like the 4×2 wedge plate and the 1×3 plate. Finally, there’s the hummingbird, or the Green Violetear as it’s called on the box. And the flower of course. The flower stem is actually a two part tail piece. The hummingbird has a large number of new pieces, namely the 45 degree 3×3 corner plates, which are brand new in dark green. There’s 12 of them, so plenty to play with. Along with a couple of other pieces and the 6×16 plate, it’s a smorgasbord of new gear. 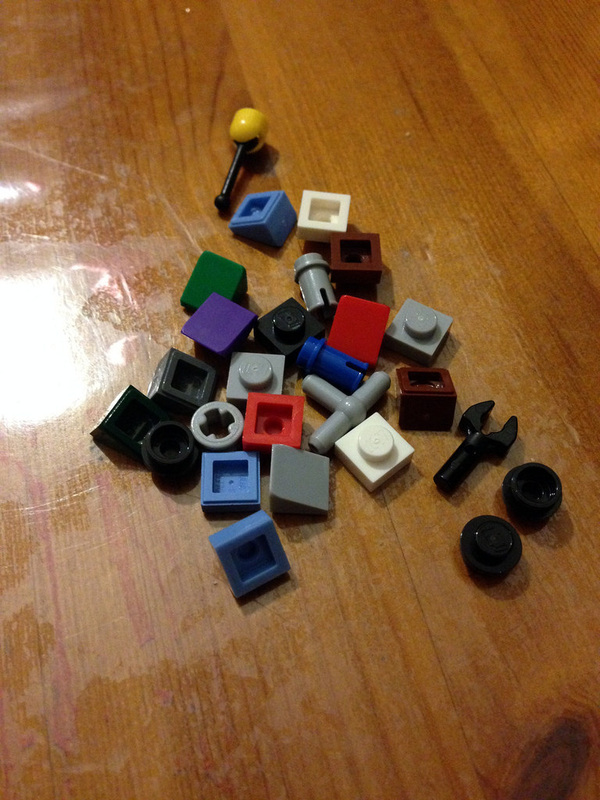 This set’s spares include a lot of 1×1 plates, cheese slopes and round plates, but also an extra t-piece, gear lever in yellow and other goodies. Not bad for spares. Buildwise, the birds are extremely clever, using some great SNOT techniques (Studs Not On Top). The robin comes together around a pretty solid core. Once the core is done with the legs, the wings, chest, tail and head are attached. 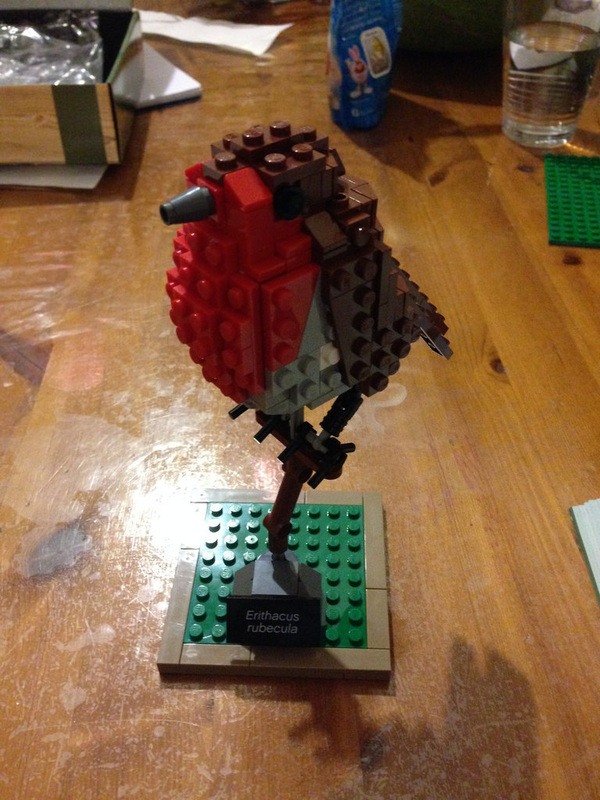 It’s a very unique 3D build, and the robin is able to stand by itself on some very good looking feet! In my opinion, the feet in this version are much nicer than the one that is featured in the original. The robin was the first model I built, and I was gobsmacked by how incredible it looked. I kept walking around the house with it on my hand, and even showed it to my cat. She didn’t appear fazed by it. Thanks to the studs, it almost appears fluffed up. 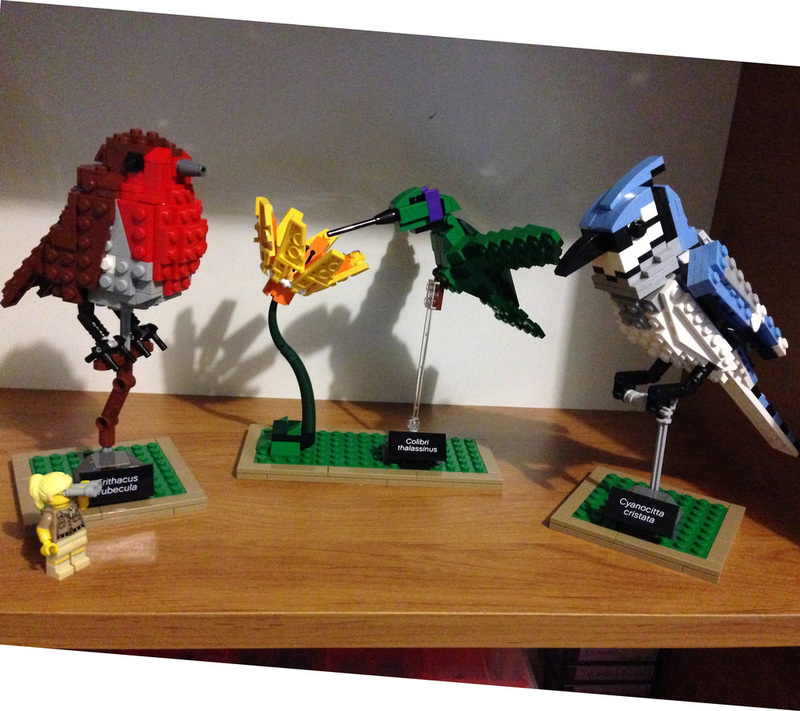 Each bird has a perch, and the scientific name printed on a 2×4 tile at the base. They look really great. The perch for the robin is a little wobbly, but it still looks good when left alone, which is most likely the intent of the set. These aren’t playable. 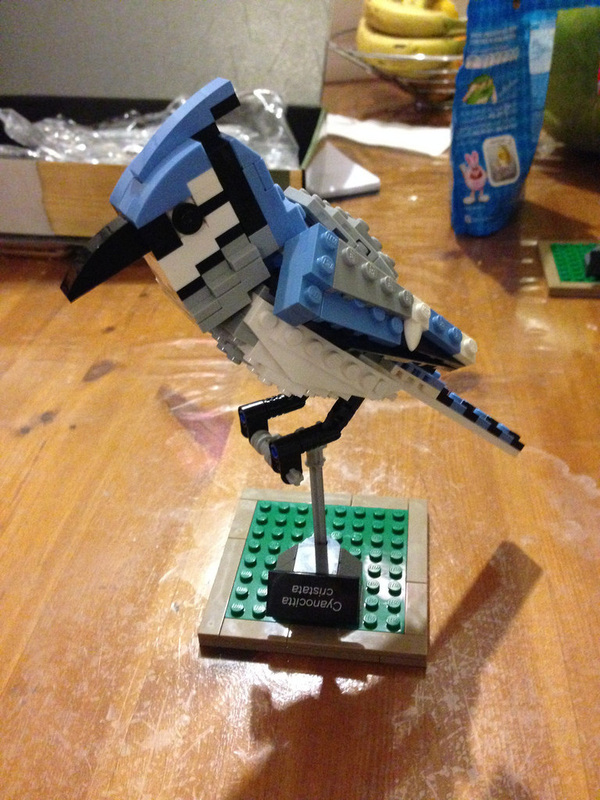 Next up is the bluejay, and it’s the biggest one of the set. I’m a little disappointed that the bird can’t come off the perch, but it still looks great. There are more angles to this set, and with ball joints and clips, the wings have a little bit of movement. I love the head of the bird. It looks extremely realistic, and looks much more detailed. Lastly, the hummingbird and flower. The flower is very simple, but really effective, with the stamen and petals a bright, vivid yellow and orange. Compared to the other two birds, the hummingbird is much more simplified. It’s worth it though when completed next to the flower. I also like the transparent rod. 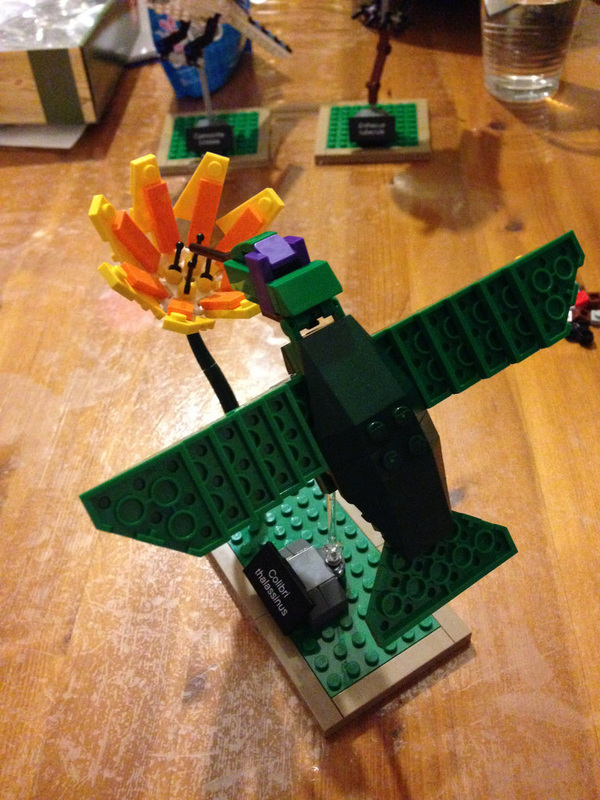 It’s a great tool for displays, and adds to the illusion that the bird is hovering over the flower. This set is really impressive. Is it a scientific model? A toy? Art? What it is is a fantastic display model and gets people thinking about what else can be built with LEGO. It’d be great to get a sequel and delve into some of Tom’s other birds. There are so many to choose from! Either way, LEGO really stepped it up with this one. If you don’t have this set, get it. You won’t be let down. It’s a first for me, but this one gets 10 out of 10. Not every set of LEGO needs to be playable. Sometimes it can just be nice to look at! Next review: 60074: Bulldozer. Back into the construction subtheme!